I love making dolls but more importantly, I love designing and making new ones! 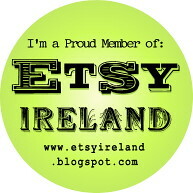 I make a lot of dolls for my customers on Etsy and a lot of local people here where I live in Ireland. But those dolls are mainly personalised dolls for babies or superheroes! So when SewMamaSew began their '6 Weeks Of Softies' competition, I took the plunge and decided to design and make something new. 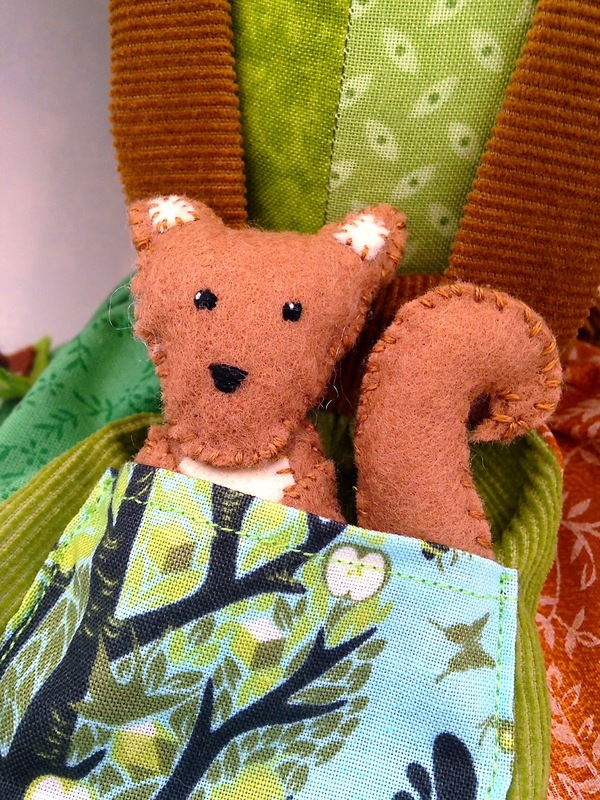 I had some beautiful woodland forest fabrics in my fabric stash that I've been wanting to use for ages. Corduroy is one of my favourite fabrics and I had this beautiful olive green remnant from a pair of trousers I made for my oldest boy when he was about two (nearly 10 years ago!). I had also just bought some marked down brown corduroy jeans that I couldn't wait to cut up and use! 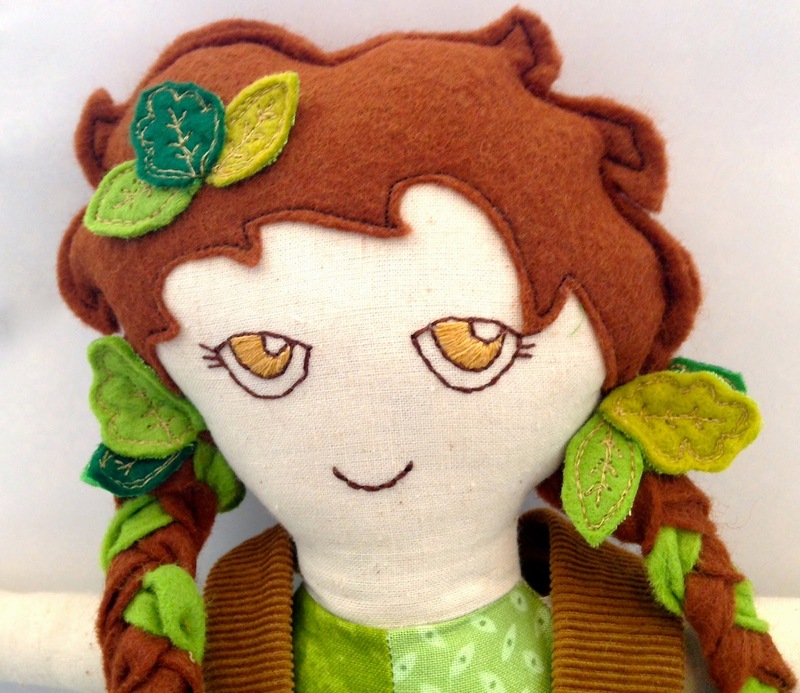 Woodland Girl's hair is made of felt plaits to which I hand-stitched leaves I had made with freehand machine embroidery. I wanted to make her look like she belonged to the forest, and could blend in easily with the woods around her. 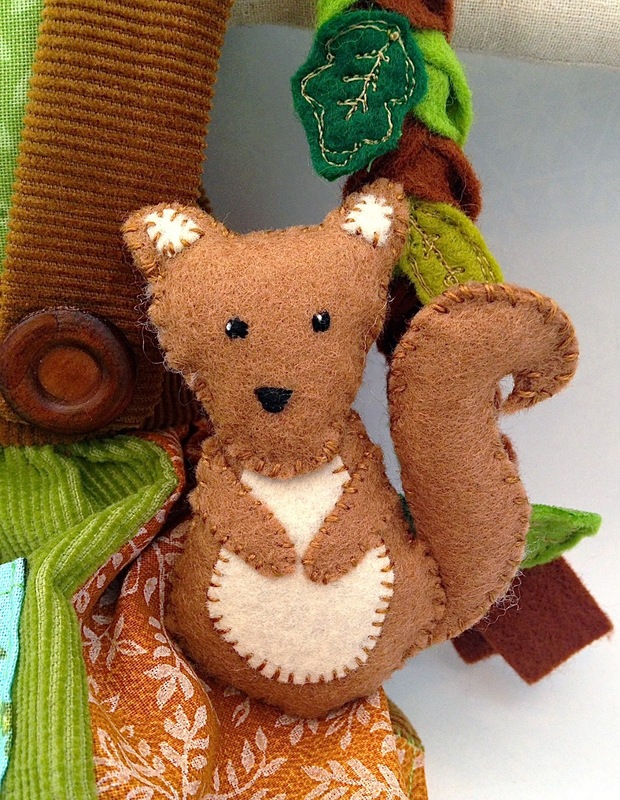 As a finishing touch I hand stitched a little felt squirrel to sit in her skirt pocket. 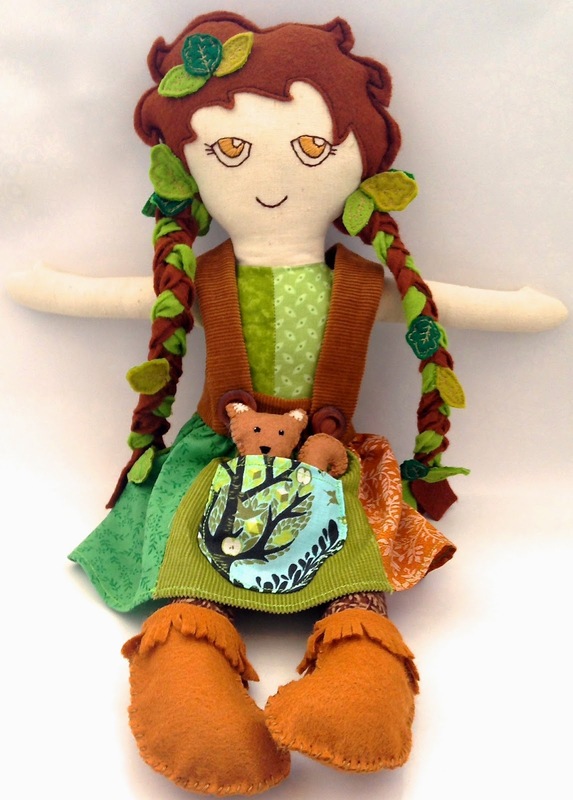 A little companion for her woodland explorations! 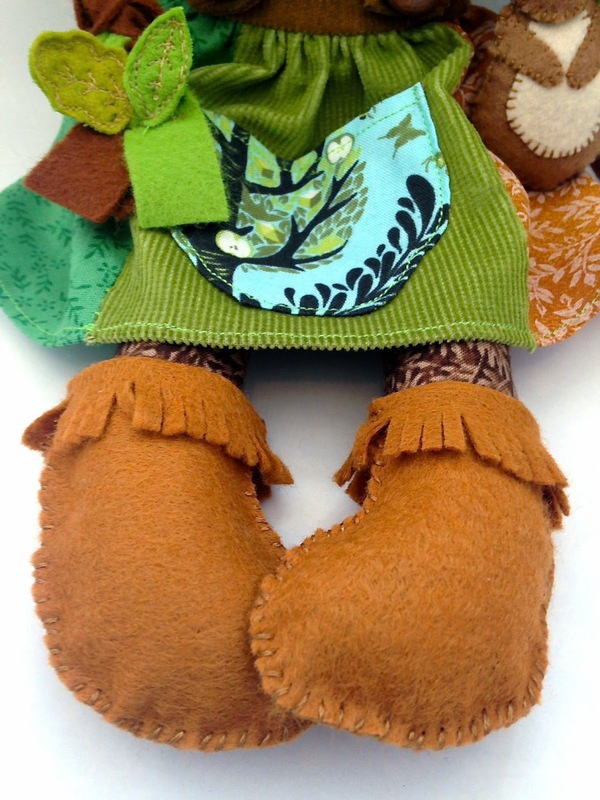 Just a few pics of the details of Woodland Girl's boots, leaves and face. 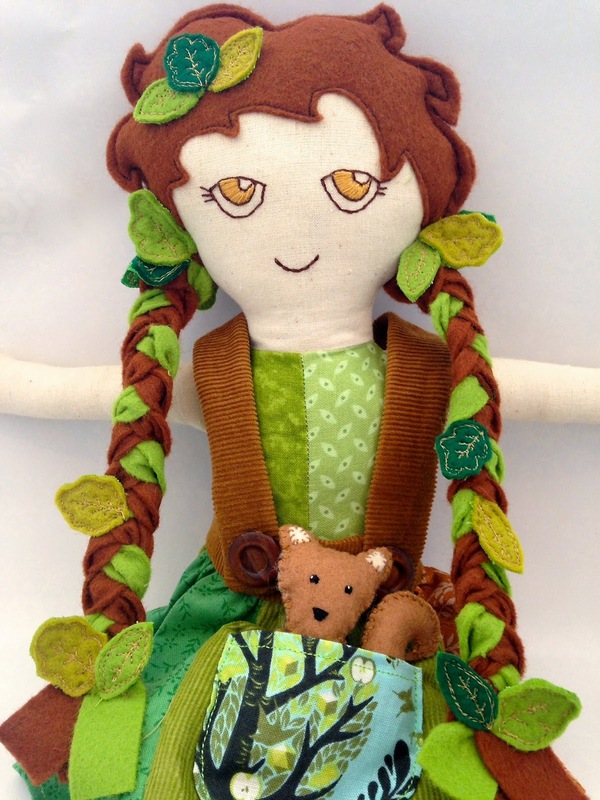 I hope you like my little forest girl. I'm really pleased with how she turned out and although she was a lot of work, I loved every minute! Can't wait to design something else soon. The thing I love about making softies is that they are all so unique! 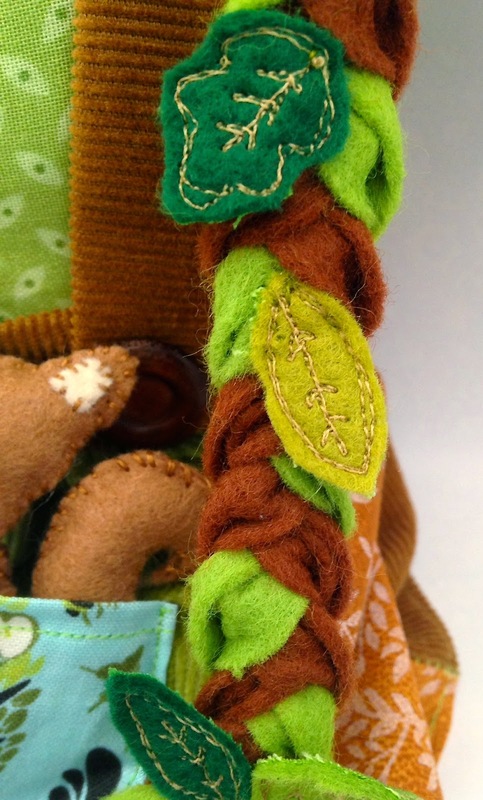 I see each and every doll I make as a piece of art I have created, full of love and attention to detail. I think this is what makes handmade stuff so special, someone has not only designed it, but has put their heart and soul into making it too!